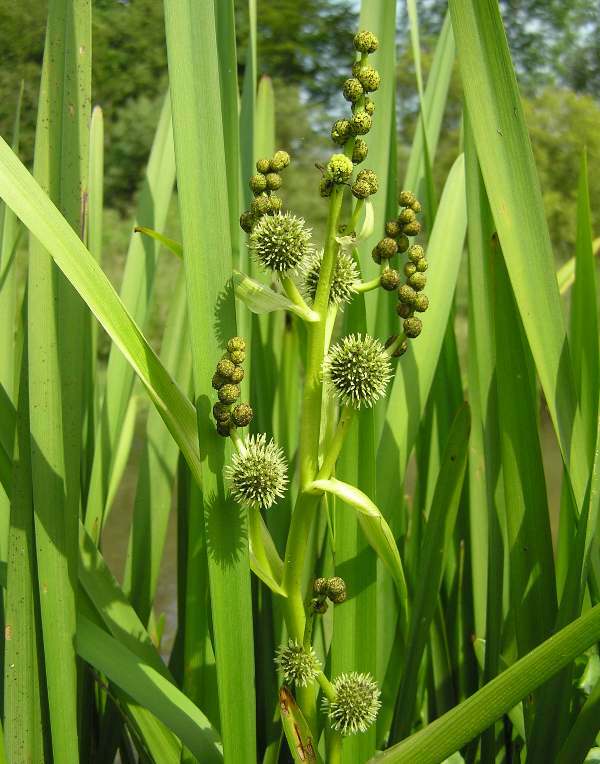 Branched bur-reed can reach a height of 1.5 metres. 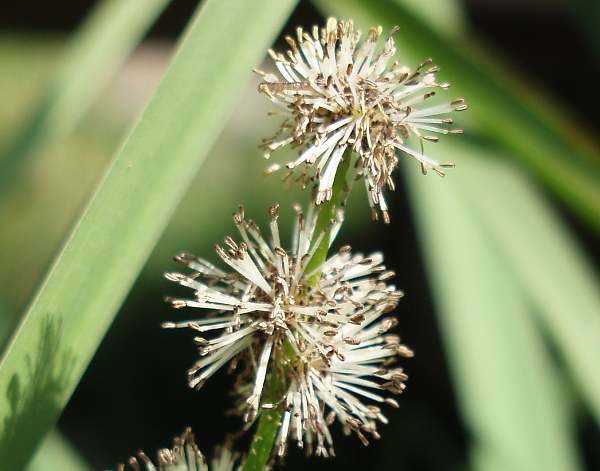 The flower stalk is branched (unlike its relative the Unbranched Bur-reed in which a single stem witout branches carries the flowers) The leaves are usually erect but occasionally they lie floating on the surface of the water. Individual flower clusters are unstalked, those at the top of the spike being male whereas the larger bur-like fowers lower down are female. 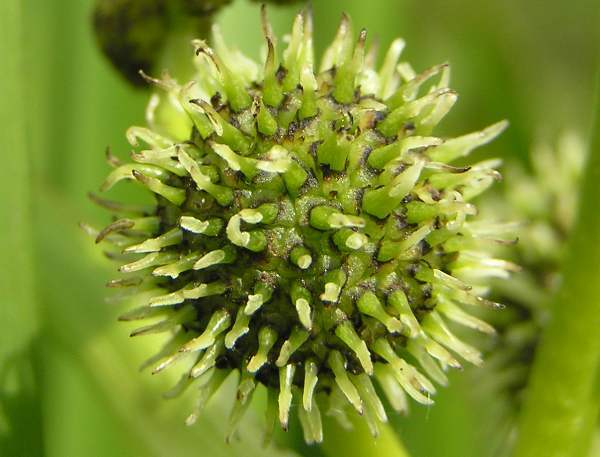 Branched Bur-reed is common and widespread throughout Britain and Ireland except for the far north. 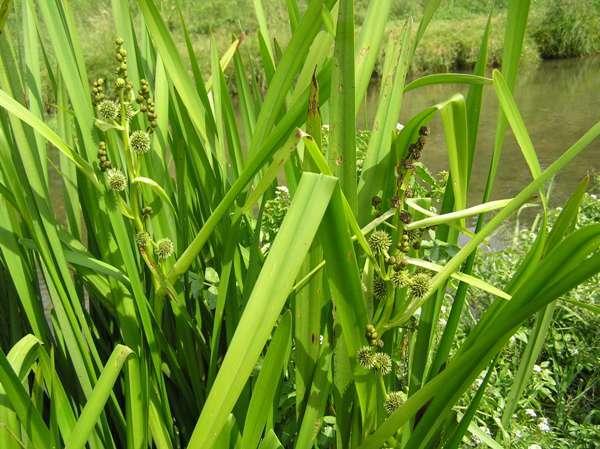 This fairly common aquatic plant grows in the water at the edges of lakes and slow-flowing rivers. The strange spiked flowers appear in July and August. Adult reed smutts (Simulium species) are often seen sunning themselves on the leaf stems in summer. The plants shown on this page were photographed beside the River Meon, Hampshire UK, in July.